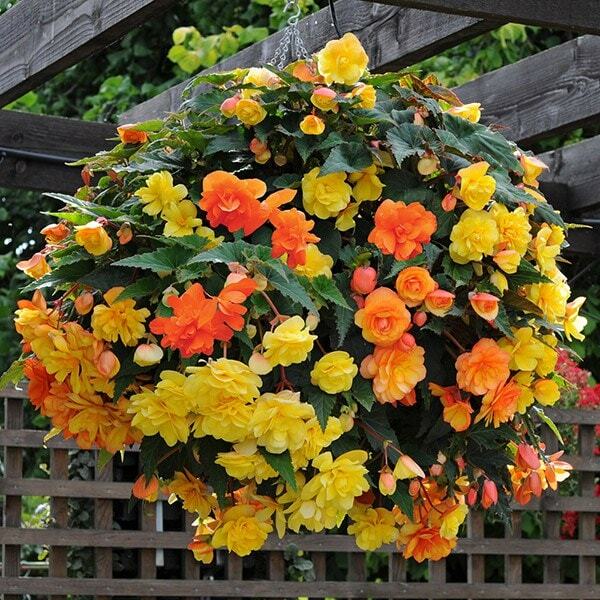 Buy Begonia 'Super Cascade Apricot Shades' mix 40 plus 20 FREE large plug plants: Magnificent for hanging baskets, window boxes and containers. This fabulous collection will provide a dazzling globe of long lasting cascading flowers throughout the summer into the autumn. 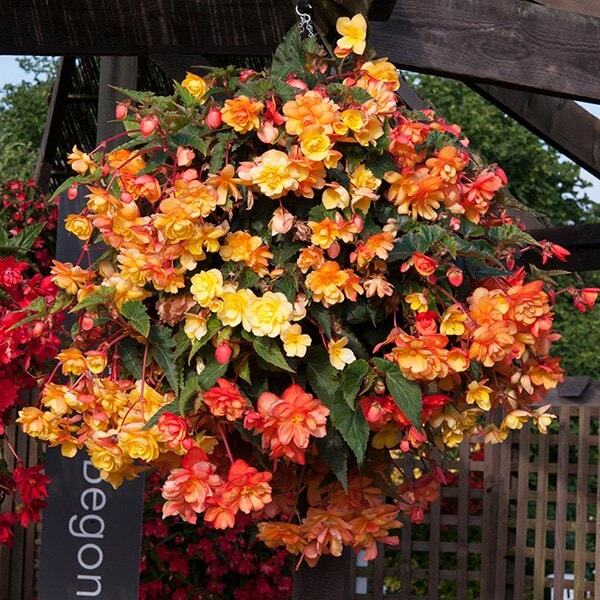 Magnificent for hanging baskets, window boxes and containers.